Ensuring global food security for the ever growing population that will cross nine billion by 2050 and reducing poverty is a challenging task. Increased food production has to come from the available and limited water and land resources which are finite. Neither the quantity of available water nor land has increased since 1950s, but the availability of water and land per capita has declined significantly due to increase in global human population. Water scarcity is particularly acute in many developing countries where an urgent need exists to eradicate poverty and improve quality of life. 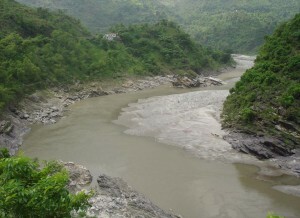 River flows are declining with increasing water resources development. This has led to serious trans-boundary issues and conflicts among different stakeholders in addition to a growing concern over the social and environmental impacts (Landell-Mills and Porras 2002; Bunn and Arthington 2002). Moreover, large uncertainty is arising on future water availability due to upcoming climate change (IPCC 2007). There is an urgent need to manage water resource efficiently through enhancing water use efficiency and demand management. Water availability for food production is not only restricted to fresh water but wastewater reuse is also emerging as an integral part of demand management (Al-Jayyousi 2003; Al-Hamaiedeh and Bino 2010). With rapid expansion of cities and domestic water supply, quantity of grey/wastewater is increasing in the same proportion. Almost 90% of total water supplied for domestic use gets generated as wastewater which could be diverted for agriculture purpose. There are several benefits and challenges on wastewater use. However, there are higher risks associated to human health and the environment on use of wastewater especially in developing countries, where rarely the wastewater is treated and large volumes of untreated wastewater are being used in agriculture (Buechler and Scott 2006). Wastewater is more saline due to dissolved solids originating in urban areas, and concentrated further through high evaporation in arid and tropical climates. Heavy use of wastewater in agriculture may cause salinity problem and can decline the land productivity. Excessive industrial release to the environment can lead to a buildup of toxic pollutants, which can in turn encourage the overgrowth of weeds, algae, and cyanobacteria (blue-green algae) and deteriorate groundwater and downstream water quality. In the above context, Water4Crops explores the possible opportunities of wastewater use in agriculture both in Indian and in European context. Since the project involves both research institutes and industries as consortium partners, identifying efficient treatment methodologies will be easier. The EU-India co-creation process will boost business development in the field of bio-treatment, wastewater reuse, and agricultural innovations to reduce the water footprint. This process would integrate the role of co-learning, links between traditional and industrial agri-production systems, and better utilization from market opportunities. The project will facilitate researchers and project partners to conduct science and technology based research on wastewater treatment and its management and would open-up various avenues for up-scaling process. Better management of water, land and crops to develop viable, stronger and green economy.